As part of their ongoing ‘Wellbeing at Work’ strategy, North Lincolnshire Council partnered with Pagabo in July 2017 to help with the procurement of the most suitable supplier to renovate one of their key buildings – Church Square House in Scunthorpe. With a redevelopment budget of £800k, the building was to be extended to accommodate up to 900 people and had to follow the Council’s own ‘Workwell’ requirements. 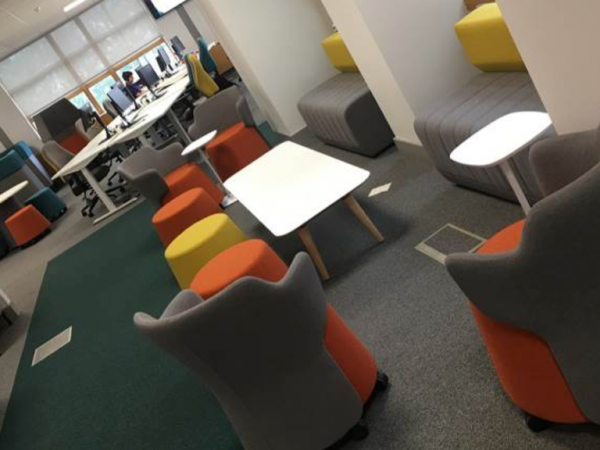 These included the creation of an agile working environment that was high quality, modern and which would promote the wellbeing of staff and offer more flexible and efficent working practices. The ultimate aim was to create a flagship building with the WOW factor within the Council’s portfolio. To successfully deliver against the requirements, a supplier was needed who had strong design skills as well as the traditional ‘fit-out’ capabilities. 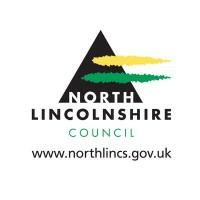 To ensure that the right company for the job was found, Pagabo worked closely with North Lincolnshire Council throughout the entire procurement process. This included supporting the council by developing further competition documents with questions designed specifically to help them evaluate both value and design flair. Following the Further Competition process, Complete Business Solutions (CBS) were identified as the most suitable supplier and were awarded the contract. Following a successful redesign of the space, CBS have now completed the refurbishment of the 2nd floor, with the ground floor and first floor scheduled to be completed later this year, and the extension phase beginning in early 2019. Key to the success of the project so far has been close collaboration between the Council and CBS, made possible through Pagabo’s unique hands-on approach to procurement frameworks. Acting as a procurement support partner for both parties throughout the project, Pagabo were able to provide the Council with high levels of support and to ensure that CBS understood the challenges of the project in detail. This in turn helped them provide the best possible advise and work towards optomising quality and value for the Council. An example was their concept of reusing existing furniture in a new way to maximise the budget and allow for investments to be made elsewhere. This one action, freed up in the region of 15% of the budget, which in turn allowed the Council to achieve it’s project goals within budget. Pagabo provided a high level of service to the Council throughout the procurement of this project, which exceeded the Council’s expectations. Pagabo were very knowledgeable and provided expert advice on the best way of structuring the procurement and evaluation criteria which reflected the Council's aims.